There are 38.59 surveyed acres. This tract is for the hunting enthusiast. It is primarily timber with a ridge that had been in grass, has now been over grown and has turned into a natural bedding area for deer. There are two fields that total 7.34 acres. Both of these fields are on the east side of the property and could easily be food plots. Making this really good, on the west side Hickory Creek runs through the property. Although it is a seasonal creek it offers a place for the wildlife to drink. 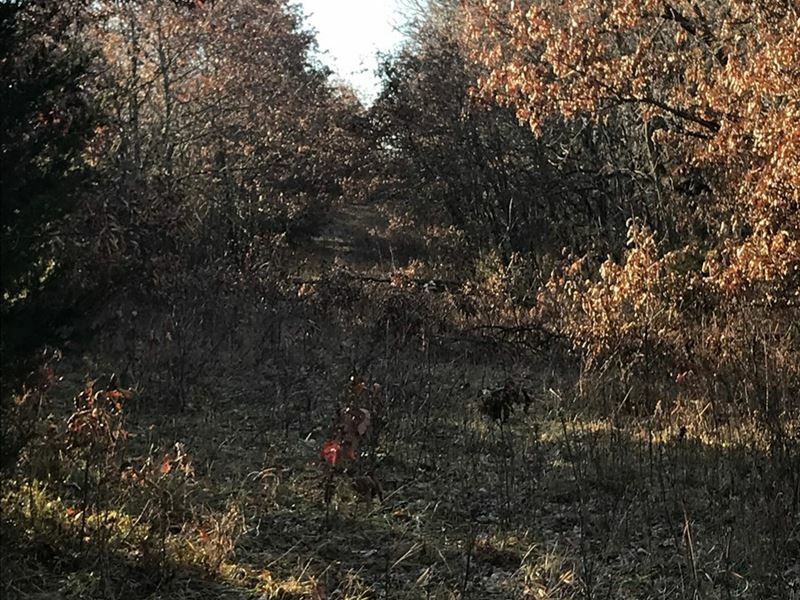 With this property having the possibility of food, water and an excellent bedding area it should help hold the deer on the property or at least close by. For the hunter looking for a smaller tract of land, this is one you should consider buying. This property is 7 miles from King City Mo., 38 miles to St. Joseph, and a little less than an hour and half from Kansas City.